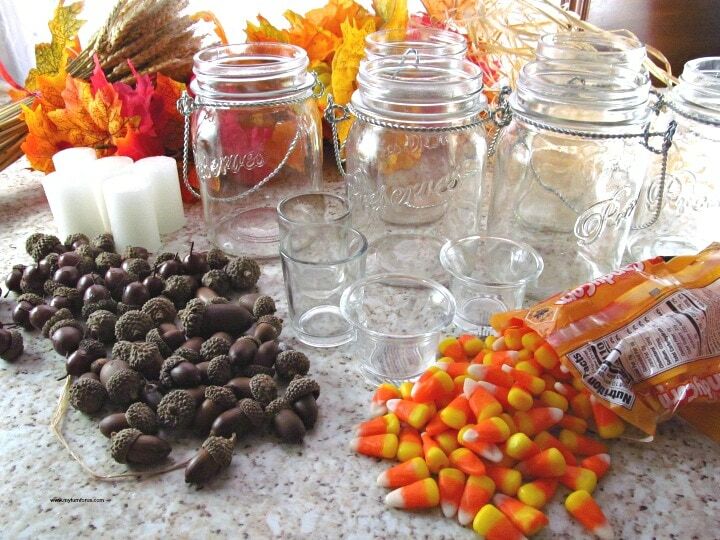 These Fall Themed Mason Jars can be ready in minutes and can make Fall Decorating a breeze. 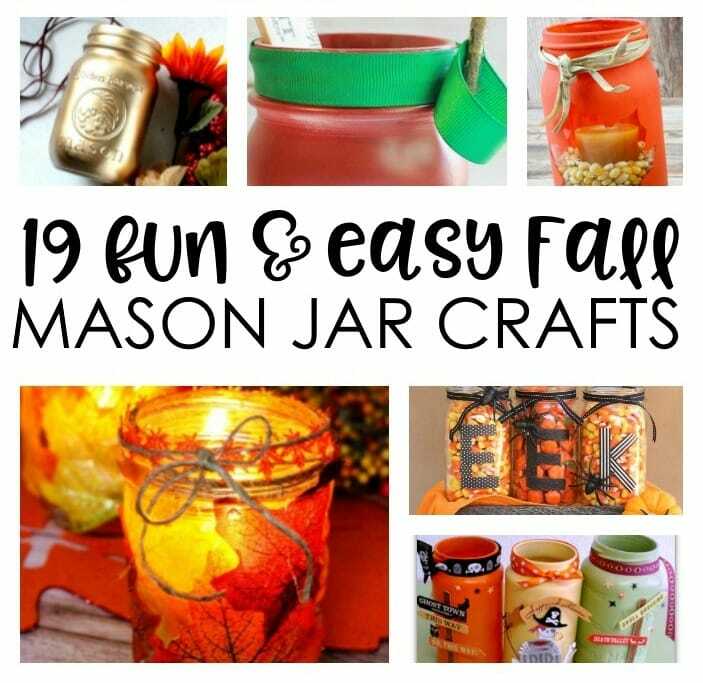 These Easy Fall Mason Jar Ideas are filled with a few fall decor items. 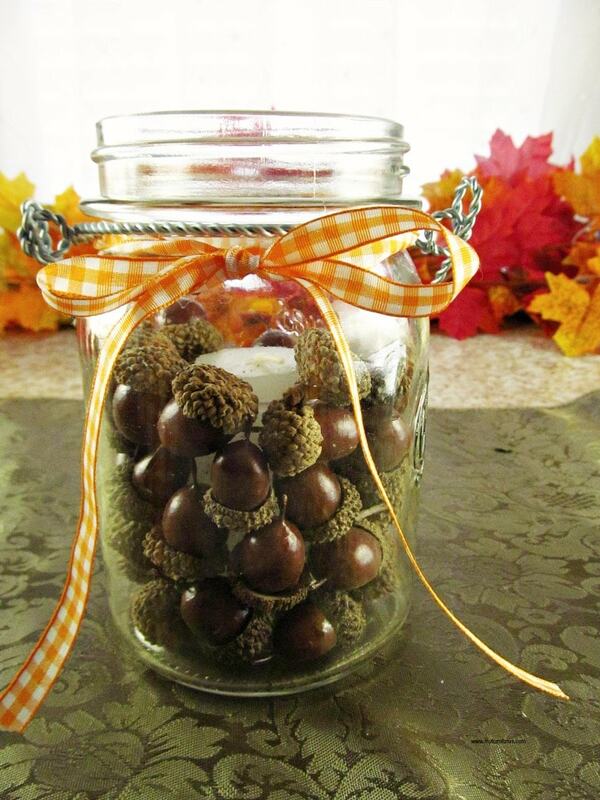 These hanging mason jars are filled with acorns, pumpkins, candy corn, and gorgeous fall leaves. 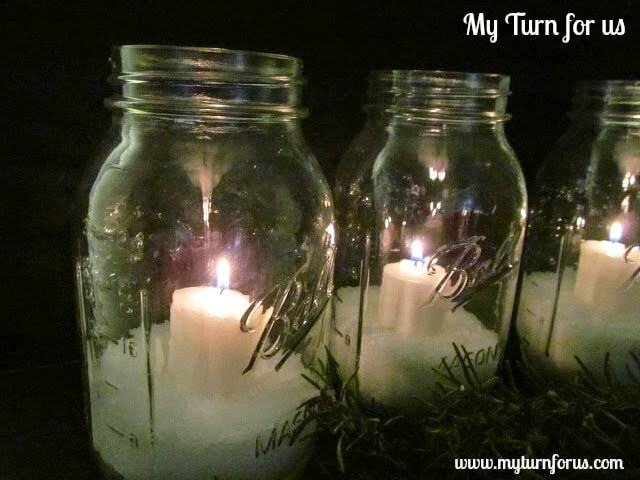 These Fall Mason jar ideas would work well as a group in a tray as we did. Or they can be spread throwout the home to add an extra touch of fall here and there. 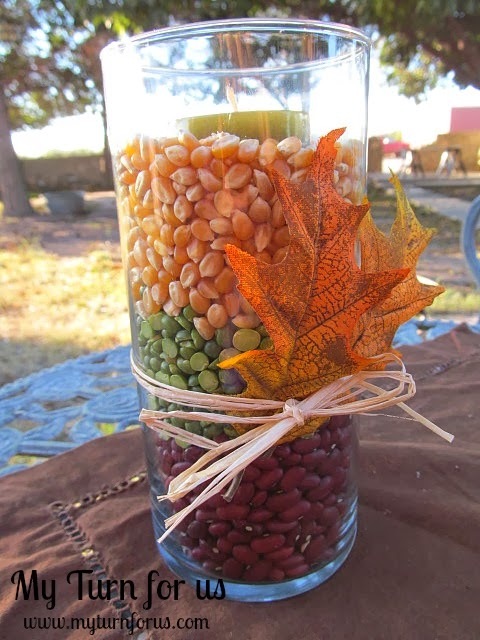 Make several different Fall Themed Mason Jars and they can either be grouped together on the table as a fall centerpiece or added here and there. 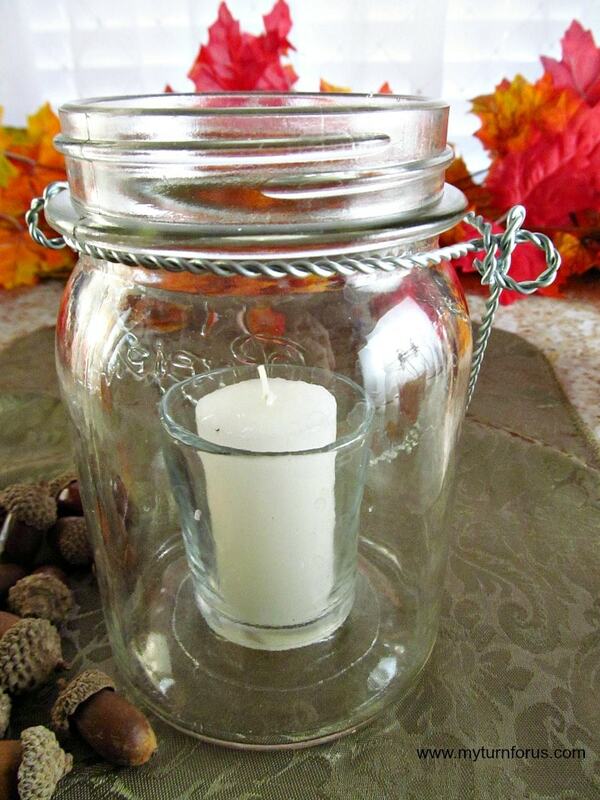 Place the candle in the candle votive holder and carefully place inside the hanging mason jar. Center it as well as possible. 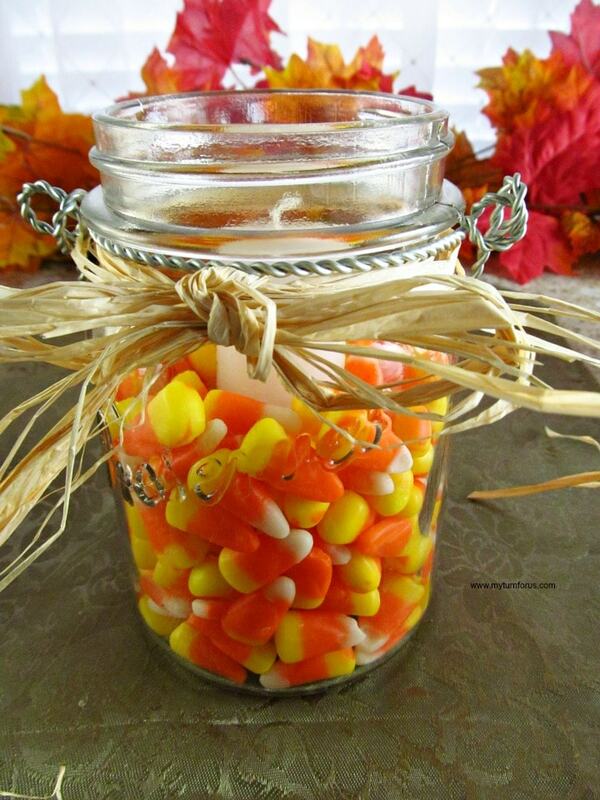 Pour either the acorns or candy corn or mix around the outside of the votive candle holder. 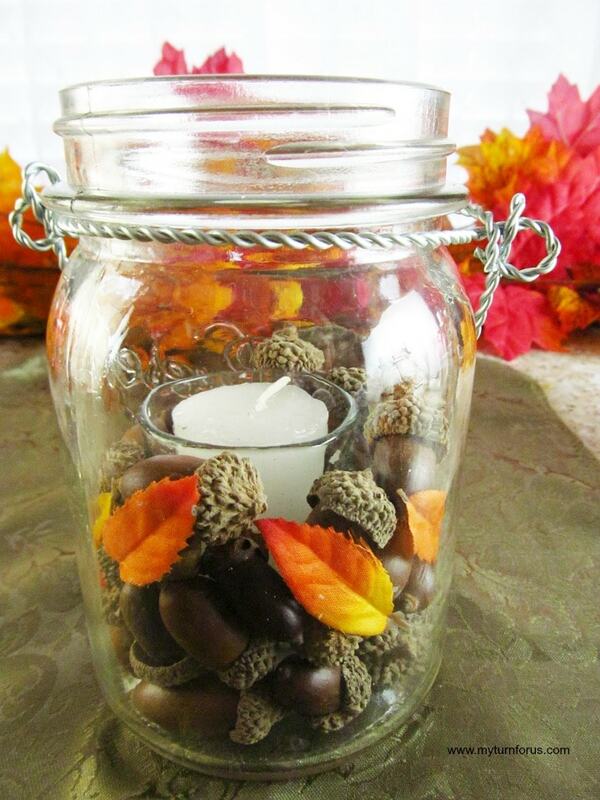 On this cute jar, we added a touch of tiny fall leaves for some fall color. 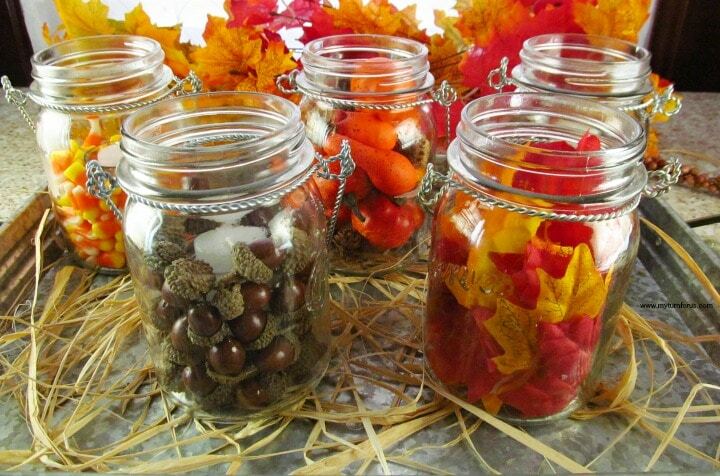 Tying a Fall colored ribbon around the jar also adds a cool touch to these Fall themed Mason jars. Fill a jar with candy either candy corn or pumpkins and tie an easy raffia bow on it. 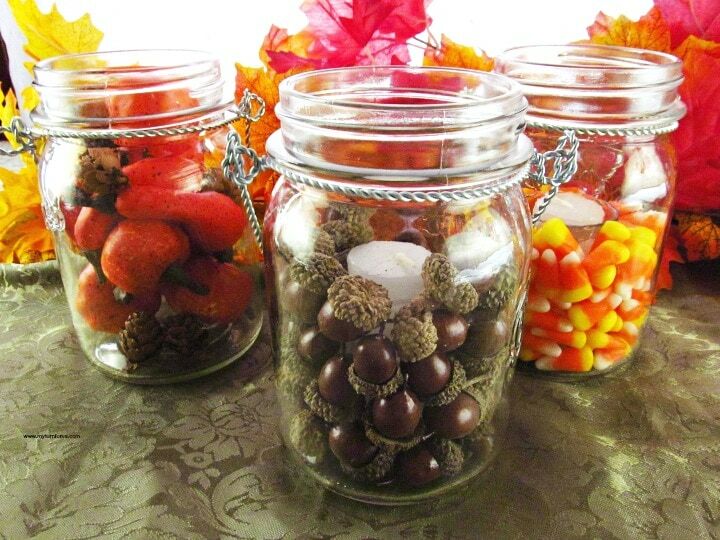 Make two or three with different candy and set them together for a cute Fall Themed Mason Jar centerpiece. 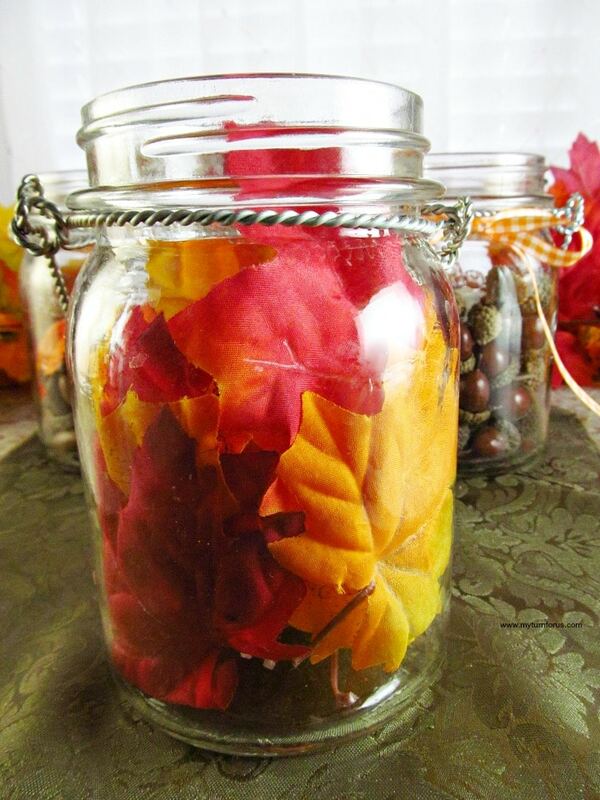 Make a beautiful accent piece or several by filling a hanging mason jar with fall leaves. You could add a small battery operated string of lights prior to adding the leaves for a beautiful effect. 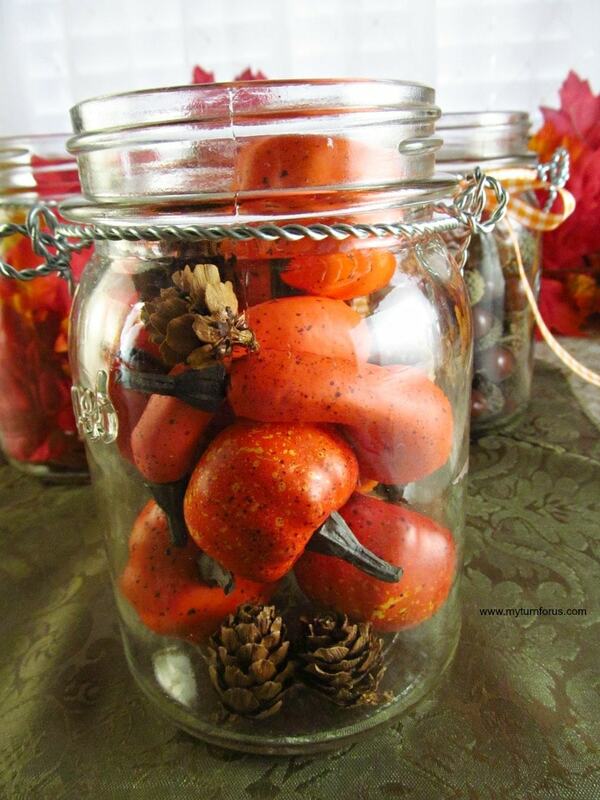 A hanging mason jar filled with an assortment of tiny fall pumpkins, gourds, pinecones or acorns looks so festive. 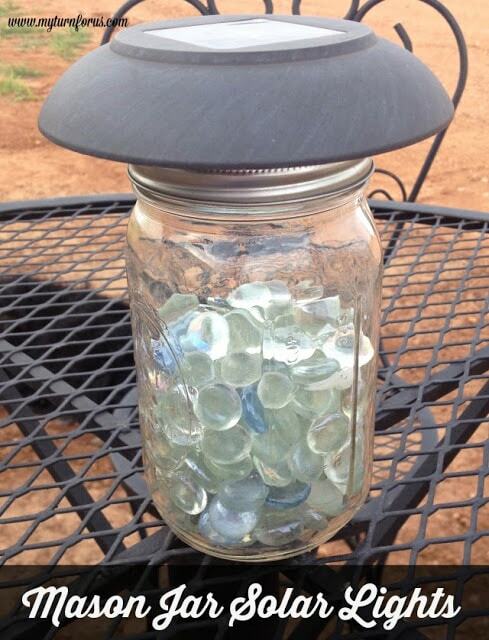 It’s not a good idea to place a candle in a jar like this but the little lights would work well if you wish to have this fall jar lighted.